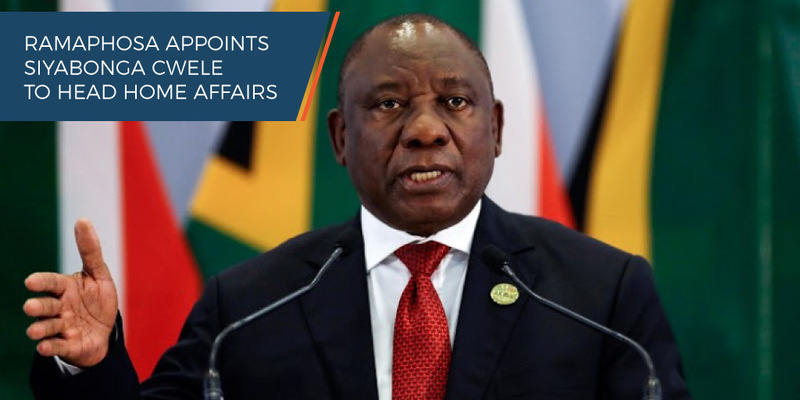 South African President Cyril Ramaphosa named Siyabonga Cwele as his home affairs minister, replacing Malusi Gigaba, who quit after he was found to have lied under oath in court. Siyabonga Cyprian Cwele was previous the Minister of Telecommunications and Postal Services and previously served as the Minister of State Security (formerly named Minister of Intelligence Services). He has been a member of the ANC Provincial Executive Committee in KwaZulu Natal since 1990; a Member of Parliament since 1994 and Member of the National Assembly since 1999. He served as Chairperson of the Joint Standing Committee on Intelligence and prior to his appointment as Minister of State Security, he served as Minister of Intelligence from 2008 to 2009.